Minnesota United winger Romario Ibarra scored for Ecuador during the recently concluded international break. Two goals in quick succession gave the Ecuadorian Men’s National Team a 2-0 win over Guatemala in Tuesday night’s friendly at Toyota Park in Chicago. Enner Valencia opened the scoring in the 82nd minute and Ibarra followed with the second in the 84th minute to put the game away. The goal was Ibarra’s third in only four international appearances for the 23-year-old. 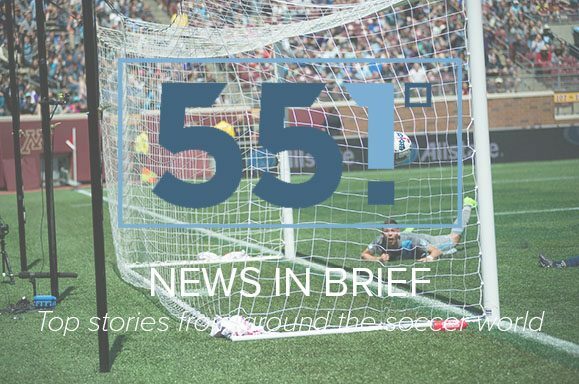 In a piece over at Soc Takes, Minneapolis City SC chairman Dan Hoedeman penned a guest piece in which he briefly reviews the season, highlights the behind-the-scenes action required to run a lower-division soccer club, and discusses the economic and financial state of the club. Take the time to read this interesting and revealing look at a local club and lower league soccer in general. The Gopher’s women’s soccer team will celebrate senior night in a pregame ceremony prior to Friday’s game against Illinois. Take a look at the class of 2018 by the numbers and start your weekend off on the right foot by heading out to Elizabeth Lyle Robbie Stadium for tomorrow evening’s game, which begins at 5:30.